The Robot Skills Challenge and Head-to-Head Competition will be offered. 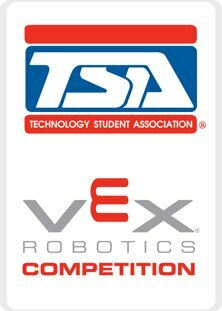 The CREATE Foundation is proud to host the U.S. Open Robotics Championship, an opportunity for top VEX Robotics teams from across the world to compete with and against the best of the best. The US Open has five divisions. The two largest divisions are VRC format divisions; a High School Division and a Middle School Division. Intro to Robotics: Programming a Line-Following & Maze Solving Robot his class will go over the basics of robotics, Arduino, and programming. We will be using Sparki: http://arcbotics.com/products/sparki/, an open source robotics platform that works with the Arduino micro-controller development environment. Five robots will be provided to the class, so you will not have to purchase your own robot, and we'll be able to get started on making them move right away. We'll go over the basics of programming, and then build on that to solve problems. You'll see how few behaviors are needed to do something like following a line, but how much more quickly you can solve the same problem with a bit of processing. We'll continue to build upon those skills until we've got robots that can find their way out of a maze. There will be additional lab times provided for students that wish to have access to a Sparki outside of the regular class time. Both a weekday lab time, and a weekend lab time will be provided. We call this the "Wold Championship Warm-ups" however, all teams are invited wether you plan to attend the World Championships or not. Lakeshore Technical College does everything in it's power to keep this event at a reasonable cost and offer the ambiance of the World event. Mini-Urban Challenge is a High School Robotics Competition currently held in 5 Regions across the entire United States. The primary sponsors are Doolittle Institute and Air Force Research Lab. Students create completely autonomous robots from LEGO® Mindstorms® kits and traverse a 42' x 10' Cityscape accumulating points along the way. The top 2 winning teams from each Region receive a travel stipend to compete in the National Competition which has been inside the Smithsonian Museum in Washington DC for the past 3 years. And the top 3 National winners receive prize money! MUC is in its 6th year of challenging thousands of students to come enjoy the world of robotics! 8515 Old Mt. Vernon Rd. The event involves a group of (usually 4 or 5) High School STEM students that organize, create, test, fabricate and race their robot on a track for competition at the First IEEE NJ Coast Robot Competition this April 5th, 2014. The students begin by creating a theme for their team/robot with a carrying case and a flag. Most of the students dress up in costumes in line with their theme. They follow sketches, plan and keep a log for their entire project to aid them with a written report that will detail their experience, including problems encountered and solutions. Now they compete by racing their Robot on a 6-inch track with two 1/2 in hurdles and finish the day with an Oral report in front of the judges. The time it takes to build the robot and complete their project varies, depending on the time the students devote to their project. The students are given their robot in January, so that they can be ready for the annual April Robot Competition. It generally can take 3 hours a week for 3 months to complete. The teams go through three judged events: Fabrication, Oral and Track. The written report is handed in a week before the actual Race Day. The Teams first go to Fabrication table where the construction of their robot is checked to ensure it fits the documented criteria from the manual. A trial run is done at the fabrication table with their robot, where each team member controls one leg of the robot. If the robot is ready to run, they go to track. If not, they are allowed to go to the Pit, where they receive guidance in getting their robot ready to compete. They are allowed to go to the pit even when they are on track if something goes wrong. After the Robot walks the whole track. They do an Oral presentation where they are judged on teamwork, creativity, ingenuity, problem solving and learning lessons. Inspiration for this event is by the Baltimore Chapter of IEEE (http://www.robotchallenge.com/), who has been sponsoring Robot Challenge Events for about 18 years. Youth ages 9-14 will construct and program robotics, and then demonstrate their new skills in friendly competitions. Our robotics club is hosting a robotics camp for 4th and 5th graders at our school on Saturday, April 5th. The kids are going to build and program a robot using the LEGO mindstorm kits, then at the end of the day they'll compete in a robot-soccer tournament. Science, Technology, Engineering and Maker Village Exhibitors: Liberty Science Center, Robotics Teams, Maker Village, etc. Come see working robots, a dinosaur exhibit and a fossil dig, interactive exhibits from the Math Museum, Maker Village, Jr. FIRST® LEGO® League showcase and much more. Come & participate in interactive demos and hands-on activities. iRobot designs and builds robots that are real people use in their daily lives. Learn about the ways these robots are helping people in today's world through videos and demonstrations. Then, kids have the chance to touch and play with iRobot robots like the Roomba (the well known Robot Vacuum Cleaner), the Scooba (a wet floor Robot Cleaner), the Looj (A Gutter Cleaning Robot), and the First Look (take a look at it to figure out what it can do). Pre-registration is not required but recommended as seats are limited. Children 7 years old and younger must be with a parent. When registering, please register only the children – parent registration is not required. If your kids are interested in LEGO building, or robotics, combine those loves with our MINDSTORMS classes! In honor of National Robotics Week (April 5-13), we’ll be opening our doors on Sunday, April 6, so that your kids, age 8-12, can try out MINDSTORMS. 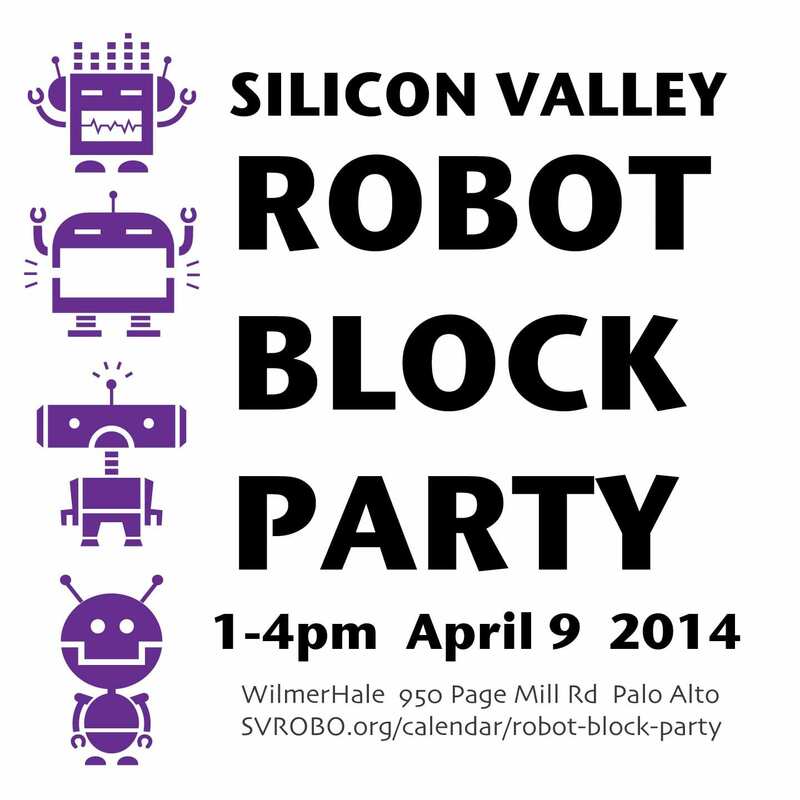 For an hour, either from 11;30 – 12:30 or from 3:30 – 4:30, come in and build robots. Free. Space is limited, though, so you must register! Come to a Robotics Open House hosted by Swerve Robotics Club and help us celebrate National Robotics Week! Meet robot makers, enthusiasts and professionals at the Redmond Library on Sunday, April 6 from 1-4 pm. See robots on display and in action. 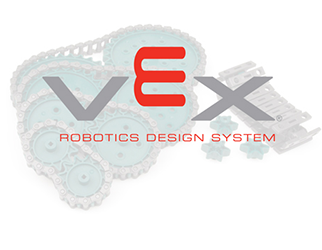 Learn about the various robotics programs available to youth K-12 – FIRST (www.usfirst.org), VEX, MATE and more. Also learn about upcoming robotics competitions – the MATE Underwater ROV Competition, the ISEC Space Elevator Robotics Competition and others. See a custom-built quadrocopter, a working 3D printer and more. If your kids are interested in LEGO building, combine those loves with our MINDSTORMS classes! In honor of National Robotics Week (April 5-13), we’ll be opening our doors on Sunday, April 6, so that your kids, age 8-12, can try out MINDSTORMS. For an hour, either from 11;30 – 12:30 or from 3:30 – 4:30, come in and build robots. Free. Space is limited, though, so you must register! Learn how to make awesome robots that can help you understand and explore the world around you. There will be a variety of hands on activity stations where you can program robots to navigate mazes, compete in races, and conquer all sorts of challenges. Come play with us and discover how fun an easy robotics can be! Participants will have the opportunity to talk with technology professionals with a passion for robotics and education. Pre-registration is not required but recommended as seats are limited. Children 7 years old and younger must be with a parent. When registering, please register only the children – parent registration is not required. We are challenging the children in our Jr. Kindergarten program to conduct a weeklong project that involves brainstorming, designing, building, and programing a robot using Legos. This is a great way for the children to learn about robots and develop their STEM skills in a project based learning environment. Monday: Let's learn about Robots! Tuesday: Let's Brainstorm! Wednesday: Design Time! Thursday: Let's Get Building! Friday: Programming the Product! Make your own artistic robot! We're recycling keyboards, computer mice, laptops and a variety of retired electronics to make some creative robot sculptures. Come and make your own robot friend - sculptures will be taken home. No technical expertise required - this is just creative fun. Geared for Grades 2-8. Pre-registration is not required but recommended as seats are limited. Children 7 years old and younger must be with a parent. When registering, please register only the children – parent registration is not required. Intro to Arduino In this class, students of all levels will learn how to program and use an Arduino, an easy-to-learn open source microcontroller board that takes all sorts of sensor inputs, follows user-generated programs, and outputs data and power to the world. Arduinos are commonly used in robotics, mechatronics, and all manners of electronics projects around the world, and are supported by a huge community of people. This class will provide what you need to get started! Since the launch of National Robotics Week in 2010, Georgia Tech has participated annually in the event by sponsoring an open house and conducting lab tours and demonstrations for middle school and high school students. More than 400 students participated in our 2013 event, with one group traveling from as far away as Tennessee to attend. 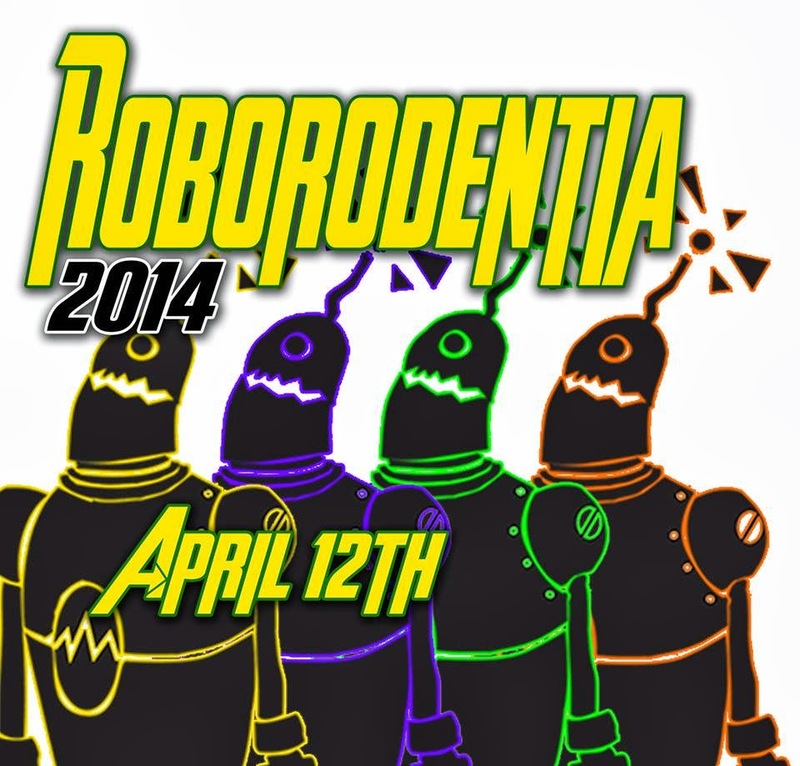 Sponsored by Georgia Tech’s Institute for Robotics and Intelligent Machines (IRIM), our 2014 event promises to be even bigger and better than last year! Tours will be held in multiple locations, offering participants a chance to learn more about research projects in different robotics labs. Please visit our event website for more details and to complete a registration form. For the past several months, a talented group of UNL students from the Colleges of Dance, Computer Science & Engineering, and Architecture have been preparing for the arrival of Elizabeth Streb and her company of dancers in Lincoln. Since January, these students have been collaborating to create an innovative exhibition combining architectural designs created by UNL students, choreography developed by UNL dancers featuring found objects and props, and robots from the University of Nebraska-Lincoln’s NIMBUS Lab. On April 8, the students will meet and connect with STREB company dancers in person, share their work, and continue to develop the project under the expert guidance of STREB’s Extreme Action Heroes and Elizabeth Streb’s groundbreaking perspectives on the theory of action. Together, STREB and UNL students will explore the intersection of technology, science, design and movement over an extensive three-day residency centered on "dancing with drones." A public performance will take place on April 11 at 6:30 PM. The main purpose of the event is to show and discuss global collaboration with three different features. First is to celebrate on going global project called " The Robot Online Mall" Grand Opening, Second is to share Robotics Technology through Road Show with Korean and New England Robotics Cluster together. This is open road show to robotics companies with no fee. Please bring your robots to share! Last feature is to deliver ideas from each sector in global robotics industry. Please join us! Introduce the coolness of programming self-awareness for the robot! Free 45 minutes introductory session. You will have the opportunity to program the robot to react to its environment utilizing sensor feedback. Limited seats are available. Pre-Registration IS Required. No Walk-in will be accepted. Grade requirement: grade 4 to 9. IMPORTANT: If you register, you will take up a seat. If you think you will not attend, please inform us at least two weeks ahead. This will allow us to release the seat to someone else. Schedule: April 8th (Tue), 2014 Three Sessions available: 4:00-4:45PM, 5:00-5:45PM, and 6:00-6:45PM To Reserve a seat: Email to admin@stormingrobots.com or call us at 908-595-1010 for the time which you are interested. You may visit our website at http://www.stormingrobots.com to obtain more details. Chantilly Robotics will be hosting Oak Hill Elementary School's FIRST Night: Jr. FLL Expo & Awards Ceremony. National Robotics Week is right around the corner, and Aldebaran Robotics (Boston) would like to invite you to a free hands-on robotics workshop at WeWork (Tuesday, April 8 at 5 PM). Our NAO Robot is bringing the next wave of computing technology and the careers of tomorrow directly in to your classroom. Join us and spend time learning how to program with NAO, and work through a Common Core aligned curriculum that’s bringing excitement to STEM education at all levels. Graduate from LEGO and VEX and improve your school’s college and career readiness initiatives with a platform that’s defining the future of STEM careers. Passionate guest speakers and Aldebaran Robotics engineers will be answering your questions about our fully programmable, autonomous NAO robot. Come enjoy our three robotics stations: Programming NAO with Choregraphe, ASK NAO initiative, NAO’s API for Python, C++, and enjoy food and drinks with like-minded professionals! Date and time: Tuesday April 8, 2014 from 5 to 8 PM Location: WeWork Office – 51 Melcher St. Boston MA, 02110 Contact: ldarddascot@aldebaran-robotics.com Phone number: (617) 963-0394 We are looking forward to sharing this experience with you! Traditional industrial robots have been difficult to integrate into factories, especially small factories. They need to be caged for safety and need to have long production runs in order to be economically viable. Rethink Robotics has tackled these problems and developed a new low-cost robot that is being adopted in a variety of production environments. Baxter is a two-armed robot -- with seven degrees of freedom on each arm -- available to researchers. Rethink Robotics believes that once there are thousands of people with access to open source manipulators, they will invent all sorts of new applications for robots, in health care and in elder care. This evening of robots and fun is similar to the Fall 2013 competition held at VWCC and will use the same track format and robot design guidelines using a Parallax Boe-Bot kit, and all teams will be responsible for any extra parts. In addition to the competition, the Roanoke Robotics club will be exhibiting autonomous and remote control sumo-bots during the evening. Come celebrate with us at the ribbon cutting ceremony of the College’s new Ingenuity Center. A new 62,000 square foot addition, the Ingenuity Center focuses on advancing manufacturing in the Madison College district. Gaining real world experience in design, automation, industrial maintenance, machining and quality control techniques, students will be well-prepared to help manufacturers compete in a complex and global marketplace. The Ingenuity Center houses a state-of-the-art machining training center, a hands-on CNC simulation lab, a rapid prototyping lab with complex 3D printing and an advanced robotics lab. Explore our Robot Zoo and generations of movable LEGO! Empow Master Builders have assembled a variety of interactive LEGO builds for you to check out, including the new Ev3. This is a free workshop and a National Robotics Week event. Seats are limited. Children 7 years old and younger must be with a parent. When registering, please register only the children – parent registration is not required. The STEAM Fair is a celebration of all things STEAM at LWGMS: traditional science fair projects, claymation films, engineering projects, and lego robotics. Lake Washington Girls Middle School students will display their FuerzaBots robots and show attendees what the robots can do! New This Year! Welcome to the big stage! New England FIRST Robotics Teams that qualify through the nine New England District Events will be eligible to compete for the honor of being named the first FIRST New England District CHAMPIONS! The New England District Championship event will be held at Boston University’s Agganis Arena. Larger and more exciting than last years regional competition. Bring the family! Be inspired! Start some stop motion robots! Students learn the principles of stop motion animation while making a robot-themed movie. After learning our special animation software, students will make their story, create their artwork and film their masterpiece! All final movies will be available for home viewing. Children 7 years old and younger must be with a parent. When registering, please register only the children – parent registration is not required. The Human-Computer Interaction Laboratory at the UW-Madison Department of Computer Sciences proudly hosts an afternoon event for the National Robotics Week. The event will feature research demos and presentations by the lab and the robot team including a demo of our humanoid robot, Nao, our Quadcopter, and our telepresence robotcs. K-12 students, parents, and teachers, and all members of the university and the public are invited to attend, interact with our robots, and hear about our research. Attendees can stop by any time between 1 pm and 4 pm and should plan on spending 15-45 minutes at the event. SOIC invites students, faculty, staff, and the Bloomington community to the Robotics Open House to be held on April 11th 2014 from 4-6pm at the R-House Lab. 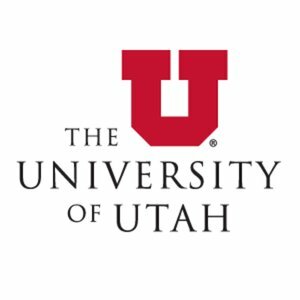 This event showcases work from research and education in robotics, human-robot interaction, computer vision, artificial intelligence, and cognitive science including live demonstrations and computer simulations. Come see the state-of-the-art research and education on robotics and other emerging technologies at IU! This event is family-friendly. Snacks and light refreshments will be served. Kids will have a blast at our Robotics Video Night! From robotics pets to self-driving cars, we’re showcasing a variety of entertaining and educational videos exploring the wide world of robotics! This is a free workshop. Seats are limited. Children 7 years old and younger must be with a parent. When registering, please register only the children – parent registration is not required. 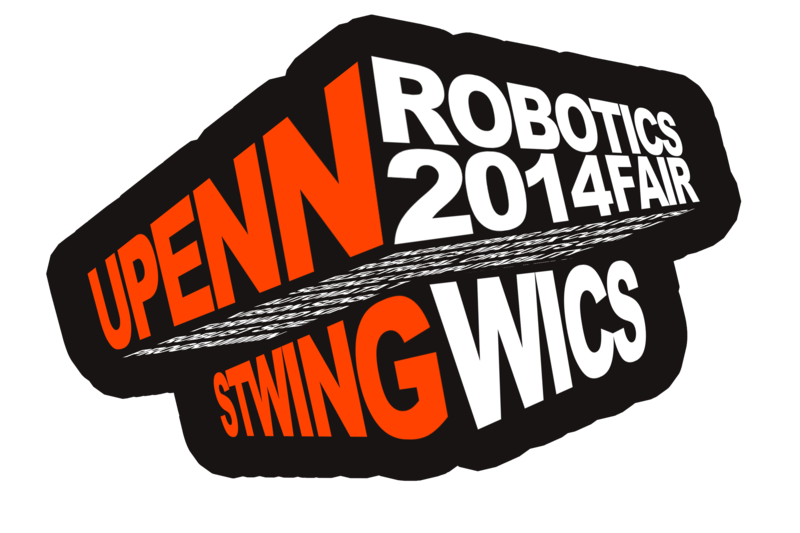 Come learn about the exciting world of competitive robotics for kids in grades 4 through 9. Exit 5 Robotics will demo a Mindstorms EV3 robot running on an FLL competition game table. If time allows, there may be opportunities to learn some basic program of the robots. Exit 5 Robotics is part of Livingston Robotics Club. The team competes in First Lego Lego League (FLL). The team has won three consecutive NJ Champion's Awards (2011, 2012, 2013). Out of over 23,000 teams worldwide, they have been of a select 300 each year invited to international finals competitions (2012, 2013, 2014). Robotics students from the University of Nebraska-Lincoln NIMBUS Lab (nimbus.unl.edu) are working together with UNL dance and architecture students to put on a robotics and dance performance. 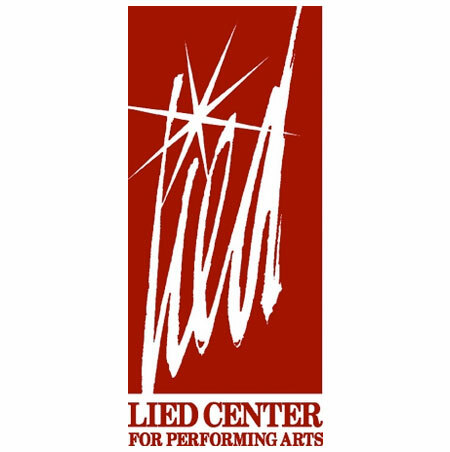 This will take place prior to the performance of STREB at the Lied Center for Performing Arts. This event is open to the public. Evening event to show, play and explore the robotics programs at our school. Families can interact with the LEGO WeDo, EV3, and VEX IQ Bots. We are having a building competition to satisfy the creativity of our kids. This VRC Robotic Scrimmage is for Cherokee Nation teams. Local FIRST Robotics Teams will be holding robotics demonstrations at the Children's Discovery Museum of West Virginia. FIRST Robotics Competition Team 2614 (MARS) and FIRST Tech Challenge Team 6965 (The Westwood Robotics Alliance) will be there with robots to discover and drive. Come by and check out the opportunities to be involved. Do you love robots? Celebrate National Robotics Week at the museum. Admission to this special event is free, but we ask that you bring a non-perishable food item. Food will be donated to The Rack, WVU's food bank as part of the Feinstein Challenge. FredericksWerken, Fredericksburg Virginia's local hackerspace will be at the Spotsylvania towne Centre as part of Family Fun Fest, we will have Floid our dancing robot, combat robots, maze robots and various other electronic and computer gadgets. Interactive robotics experience providing access to students of all ages to robotics technology in a fun and lightly competitive environment. Events include Build and Go SUMO Lego challenge, FIRST Lego League Coding Jam, FIRST Tech Challenge Driving Experience. Pizza and pop for lunch (provided for RSVP attendees). Use your imagination and make-a-bot! Boxes, tin foil, paper towel tubes, construction paper, cans, plastic ups and paint- use it all and construct your own crafty robot! The annual event includes demonstrations of robots and projects built by VMI cadets and faculty. FIRST LEGO League, FIRST Robotics Competition, and local industry and groups will also be there with robot demonstrations and exhibits. We are also trying to schedule the Virginia State Police Bomb-Disposal Robot team, depending on their availability. 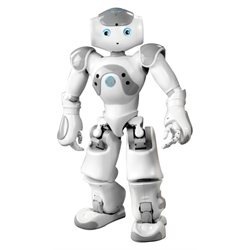 RoboCupJunior is an educational robotics competition held worldwide for students up to age 19. RoboCupJunior NY/NJ is the selection event for teams to be qualified to participate in RoboCupJunior World Championship 2014 held in Brazil. For more information, visit http://rcjnynj.org and http://robocup2014.org. Walla Walla University will host the 2014 FIRST LEGO League Regional Robotics Challenge. Sixteen different schools from across the Northwest will come to compete, bringing students aged 6-14. Table competition will begin at 11:30 a.m. This year’s theme is “Nature’s Fury,” focusing on all manner of natural disasters, from storms, to quakes, to waves and more. As FIRST LEGO League states on the event website, “teams will discover what can be done when intense natural events meet the places people live, work, and play. The activity areas will open at 9 a.m., and FIRST LEGO League teams begin table competition at 11:30 a.m. For those who like hands-on exploration, interactive displays will be available for both participants and spectators, including a thermal imaging camera, a table with communications equipment used by the local Amateur Radio Emergency Service group, a small seismograph, and a concrete tester. In addition, there will be several bins of LEGOs for anyone and everyone to build and play with. Help create an army of Arduino-powered InsectBots! 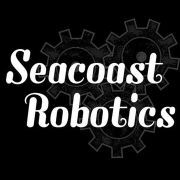 Code & Circuit of Amesbury, MA will be hosting a robot building workshop! Teams of up to 4 people will follow easy steps to make, program and race their very own InsectBot! Recommended for ages 10 and up. Ages 15 and under must have adult supervision - no prior experience necessary. InsectBots are simple to create and are yours to keep! Space is limited. Pre-register for one of two sessions: 2:00-3:15PM or 3:30-4:45PM. Workshop cost of $30 per team is payable upon arrival. Please register additional teams if you wish to create more than one InsectBot. The 6th Annual IEEE International Conference on Technologies for Practical Robot Applications (TePRA) will be held in the Greater Boston Area, Massachusetts, USA on April 14-15, 2014. With an emphasis on practical applications and industrial participation, TePRA provides researchers, innovators, entrepreneurs and robotics professionals with a balanced forum in robotics science, engineering and technology. The presentations selected through IEEE's rigorous peer-review process highlights new uses of algorithms, components, and whole systems in practical robot applications. Collaborative Robots, or robots that work side by side with humans without being caged in, are one of the newest trends in the robotics industry. This first-ever RIA Collaborative Robots Workshop (held in conjunction with The Vision Show) will examine all of the key issues in a fast-paced one day event. You’ll learn about the technology, the applications, capabilities and limitations, safety issues, key research efforts, and get a better understanding of where this trend is taking the industry and how quickly! Be sure to register early since space is limited! During this one-day seminar and networking event you will follow robots from imagination to state-of-the-art research and finally to market. Starting with a short introduction to robots in science fiction, we will dive into the latest research, hear the newest startup pitches and learn from successful companies. Additional highlights will include an overview of legal and ethical questions, and a panel discussion with key actors in the field. Fayetteville Public Schools welcomes you to the 1st NWA VEX Tournament featuring the TOSS UP Game. Can you play a computer game on bananas and sponges? Can you sew a circuit that lights up your T-shirt? You can, in our new series of Tinker Tech workshops for families! This one is robotics!!!! Once a month, we’ll investigate a different area of technology in a hands-on, 2-hour workshop. Both kids and adults will love playing with innovative engineering toys, learning about real-world technology, and working together on their very own tech project to take home. Monthly meetings held every 3rd Saturday from 10AM to noon. 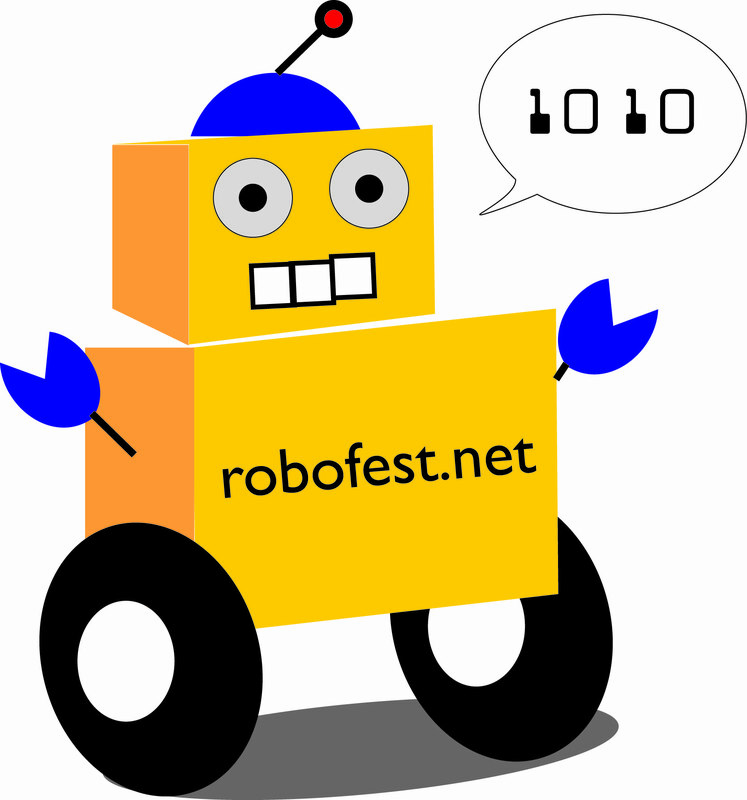 Bring robots & projects to share & demo, event information, ask & answer questions, etc. Invited presenters speak to the group each month. You've been to The Franklin Park Zoo, The Bronx Zoo, but have you ever been to a Robot Zoo? The 2013 Robot Zoo was fantastic - last year we saw 15,000 attendees come through the Carnival & Robot Zoo at the Cambridge Public Library. New to LEGO robotics? Then this is the class for you. Students will investigate motorized models with Lego WeDo. They will learn about gears, belts, motors, sensors, and basic programming. After building each model, students will be given challenges that may include controlling the model with sensors and a program, or modifying the model to accomplish specific goals. These challenges will exercise their creativity and problem solving skills in addition to improving their understanding of how the machines work. Always wanted to make your own robot but don't know where to start? We'll take you from the basics of making it move to more advanced concepts, such as using digital and analog sensors, and teaching the robot how to make decisions for itself. Velin Dimitrov from Worcester Polytechnic Institute presents current robotics research at our next science cafe. Robots are being deployed in applications from disaster response to healthcare, from agriculture to manufacturing. This talk will review the current state of robotics research and development. We will discuss control strategies from teleoperation to full-autonomy and control interfaces such as voice, and brain signals. Our examples will include smart wheelchairs, personal assistance robots and humanoids, and aerial robots as well. More than 10,000 students from around the globe will travel to St. Louis, Mo., to put their engineering skills to the test at the annual FIRST® (For Inspiration and Recognition of Science and Technology) Championship. U.S. and international FIRST student robotics teams will earn honors for design excellence, competitive play, research, business plans, website design, teamwork and partnerships. With support from more than 200 of the Fortune 500 companies and over $19 million in college scholarships, the not-for-profit organization hosts the: • FIRST® LEGO® League (FLL®, grades 4 to 8, 9 to 14-year-olds in the U.S, Canada, and Mexico; 9 to 16-year-olds outside the U.S, Canada, and Mexico); • FIRST® Tech Challenge (FTC®, grades 7 to 12, 12 to 18-year-olds); and • FIRST® Robotics Competition (FRC®, grades 9 to 12, ages 14 to 18). • In addition to the high-energy robotics matches, teams of 6 to 9-year- olds will participate in the Junior FIRST® LEGO® League Jr.FLL®, grades K-3), World Festival Expo. Accomplished inventor Dean Kamen founded FIRST® in 1989 to inspire an appreciation of science and technology in young people. A non-profit based in Manchester, N.H., FIRST designs accessible, innovative programs to build self-confidence, knowledge and life skills while motivating young people to pursue opportunities in science, technology, and engineering. Discover the history of robots and artificial intelligence - fan favorites at science centers all over the world -- on a tour of the MIT Museum's unique collection of robots with Debbie Douglas, Science & Technology Curator. Learn some of back stories about these MIT inventions, and even see an artifact or two not on display! Tickets available one half-hour before tour start on a first-come, first-served basis. Limited to 25 participants - best suited for families with young children. Dive into our exhibit halls with Kurt Hasselbalch, Curator of the Hart Nautical Collections. Learn about MIT's numerous connections to autonomous underwater vehicle development and nature-inspired robotics. Tickets available one half-hour before tour start on a first-come, first-served basis. Limited to 25 participants - teens and adults only. A tradition since 1913, E-Week is dedicated to recognizing and rewarding engineers’ accomplishments. The week culminates with the annual E-Week Open House during which senior engineering students display their research projects, corporate representatives host booths to promote their companies, and high school students partake in information sessions and hands-on activities that highlight the benefits of becoming an engineer. We generally have many robotics on display during our research lab tours and in the senior design competition. Close to 1,000 guests attended the 2013 E-Week Open house this past year.